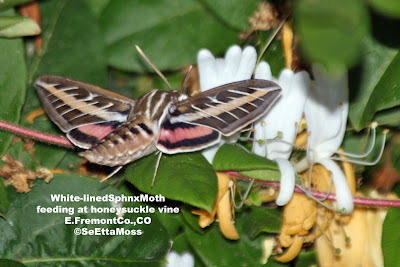 "Manufactured homes for the birds "
"With a catastrophic rise in wildfires over the past two decades -- most of them sparked by human activity in this rapidly developing corner of California -- thousands of acres of hard-won coastal sage reserves have gone up in smoke. The wren’s population has consequently plummeted. The bird nests only in mature cacti at least 3 feet tall, and such stands take decades to recover from burning." 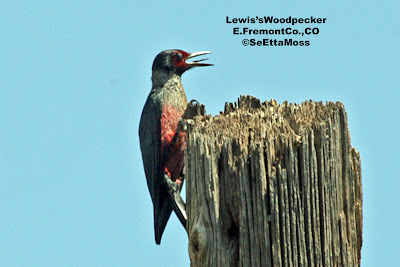 As noted in the post below, I took pics of this Lewis's Woodpecker today. In this pic, the woodpecker's nictitating membrane is over it's eye. The nictitating membrane is referred to as a bird's third eyelid. Bird's "blink" this nictitating membrane over their eye many times per minute and it apparently moistens the cornea. 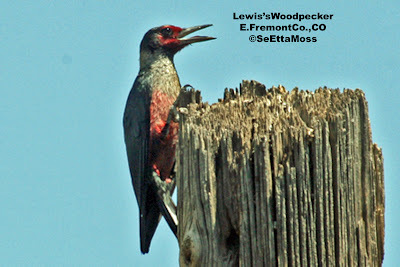 I have following a pair of Lewis's Woodpeckers that have a nest in a snag in a large cottonwood on my friend's property along the Arkansas River near Canon City. I have taken a number of pics of the adults attending the nest, but since it is in the tree it is quite shaded and the pics don't do justice to the beauty of these very colorful woodpeckers. Today I saw this woodpecker that had stopped on a phone pole while bringing food to the nestlings (I can hear them loudly now) where there was sunshine to bring out some of the colors. The beautiful red on the face and belly does come through pretty accurately in these pics as does the grey collar. Though the back appears black in these pics as it often does on these woodpeckers, the green gloss does not show through.